The running group has split into Saturday and Sunday runs to work around everyone’s schedules. The goal is for each person to have at least one other person to run with. I chose the Saturday group because I get more out the weekend versus thinking all day about how early I need to get to bed on Saturday. I’ve always been a crash out on Friday night person since college days. Plus, I have been missing way too much Church. I never make it to Saturday evening worship service. Balance is important so I will do better with my spiritual health. The title of this post is one of my favorite sayings because I’m normally the person forging ahead with plans and spur of the moment decisions. 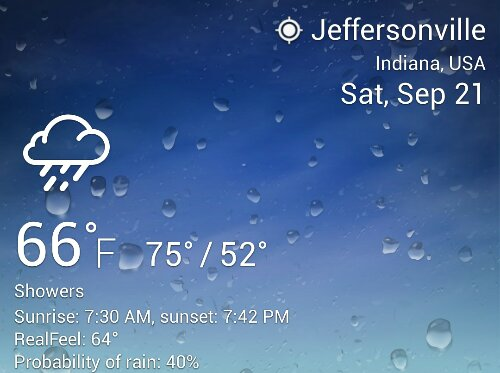 That wasn’t the case this morning when I saw a steady rain. I sent texts to the group and the replies were rather nonchalant. I wasn’t offended. I was inspired. The show must go on rain or shine. I decided to run in the rain instead of running dry by myself. We finished 13 miles in 2 hours. I wore my Lville Cards hat and that thing was soaked even though the rain cleared after the first couple miles. Maybe that Cards hat was a sign of things to come. 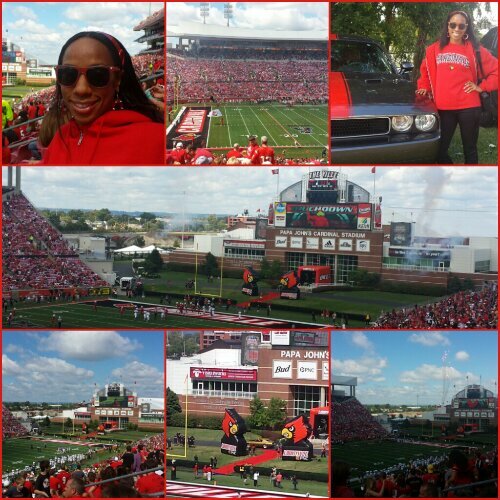 I had my day totally planned when my friend invited me to the UofL and FL Int’l game. The Cards scored as soon as we took our seats and they never let up to defeat the Panthers by 72-0. If I didn’t complete my run as scheduled I could have missed out on a memorable game. 1 monkey don’t stop no show, but the rain did prevent me from breaking in my new Asic Nimbus 15 Lite Shows. 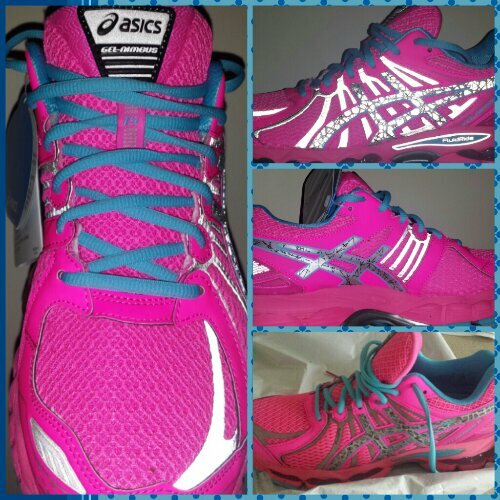 I will get to them this week because my pink and mint Nimbus will retire as lunch break walking shoes. This entry was posted in Louisville, running and tagged Asics, Football, Louisville, Marathon, Running, Sports. Bookmark the permalink. Goin to UK for grad school I’m sure there’s some law about not liking anyone wearing red, but I think I missed that memo lol Glad you had fun at the game!! And even though those shoes are being demoted to walking status, they are SUPER adorable!! Look at that dedication! Keep it up! I love running in the rain. Except when it’s winter. Then…not so much. But I enjoyed my wet, rainy run yesterday too.